The system of PAMM accounts introduced by InstaForex Company is a safe way to invest funds in accounts of other traders to manage them. The size of an investment is unlimited: one can make an investment from one hundred to hundreds of thousands of US dollars in a real time mode. Guaranteed funds security: protection of funds from being withdrawn by a managing trader: a trader is only able to withdraw his/her funds uninvolved in trades. How to become a PAMM investor? 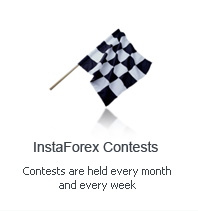 Any customer of InstaForex Company who owns a real trading account can become a PAMM investor. It requires nothing but logging in to Client Cabinet and choosing the "PAMM system" menu option. Then you are offered to pass the PAMM system registration procedure which includes accepting the PAMM System Use Agreement and specifying your contact information (email and phone number) that shall be available to all managing traders whose accounts you will invest in. Once the registration has been passed, your trading account becomes a PAMM investor account. It means that, besides standard opportunities of trading, you get access to the full range of the PAMM system services, which implies investing funds in accounts of managing traders shown on the monitoring list. You can invest your funds shortly after you have registered with the PAMM system. Still, before you start working within the PAMM system, we strongly recommend you to study all the opportunities of the system and begin investing with insignificant for you amounts so that to investigate the principles of the PAMM system functioning. Note: to discover all the stages of investing and taking funds back, you should invest a minimal amount - 1 USD. In this way you can experience all the stages of investment in accounts of managing traders and make sure of accuracy of share and profit calculation.